Elizabeth Proust (pictured above) is generally referred to as being one of Australia’s most powerful women, after the Prime Minister and Gina Reinhart (world’s richest woman). She represents the “establishment” on the Catholic PR unit for dealing with the fallout from the Royal Commission. Basically, Ms. Proust may be described as a professional company director, sitting on the boards of several large companies. Elizabeth’s first job after graduation was in the private sector with BP Australia (the oil giant) in Government and Public Affairs. Three years later she switched to the public sector when she was appointed Secretary (CEO) of the Victorian Attorney-General’s Department and later as Chief of Staff for Victorian Labor Premier, John Cain. She brings to the committee strong links to the political system which will mesh nicely with those of the CEO Francis Sullivan (see previous posting). Ms. Proust then began her career with the ANZ banking group, rising to global Human Resources Manager. 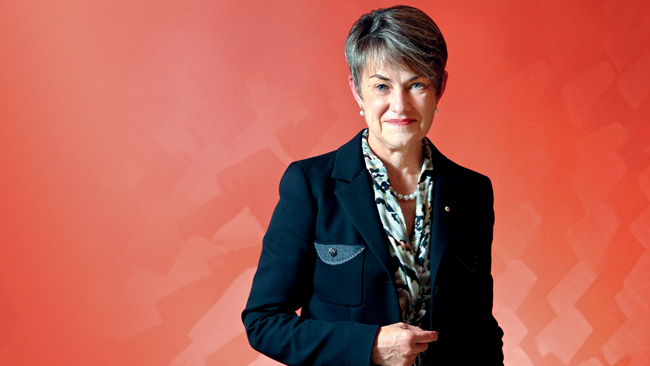 Later she moved to the Westpac banking group as Chairperson of its subsidiary, the Bank of Melbourne. She is also a director of the huge funds manager, Perpetual, which, among other things, manages over $1 billion of funds for 540 charitable and trust organisations. She is a non-executive director of Sinclair Knight Merz (SKM), a leading projects firm, with global capability in strategic consulting, engineering and project delivery. It operates across Asia Pacific, the Americas, Europe, the Middle East and Africa, deploying some 7,500 people from more than 40 offices. Other board positions include Chairperson of Nestle (Aust.) and director of the car insurance company, Insurance Manufacturers, a subsidiary of the very large AIG company. She is on the board of the Walsh Bay Consulting company, which specialises in management advice and merchandising services. In 2011 it had a contract to provide a review of the draft report of the State Services Authority of the Victorian Government. An odd directorship Ms. Proust holds is that of the Spotless Group, in that it is not in the financial or management areas. It is largely a cleaning, catering and laundry company. In 2011, the cleaners union, United Voice, initiated legal action against Spotless for threatening employees with the loss of Sunday shifts and overtime payments unless they signed new workplace agreements. The National Secretary of the union, Louise Tarrant, said that cleaners had been “marched in and told to sign the agreements or they will never be given overtime again.” Spotless denied the claims. She received her Order of Australia award partly for her role with the Sports Australia Hall of Fame and trusteeship of Prince’s Charities Australia. Overall, a really good catch for the Catholic Church PR team. During the course of the Royal Commission, she may find she has a few funny thoughts. While held up as an example of smashing the “glass ceiling” she is involved with an organisation widely regarded, at the very least, as not being female friendly. Further, she is on record as saying that, “the appalling failure of the Church to deal with paedophiles is a source of enormous sadness.” Be prepared for further sadness, Ms. Proust.